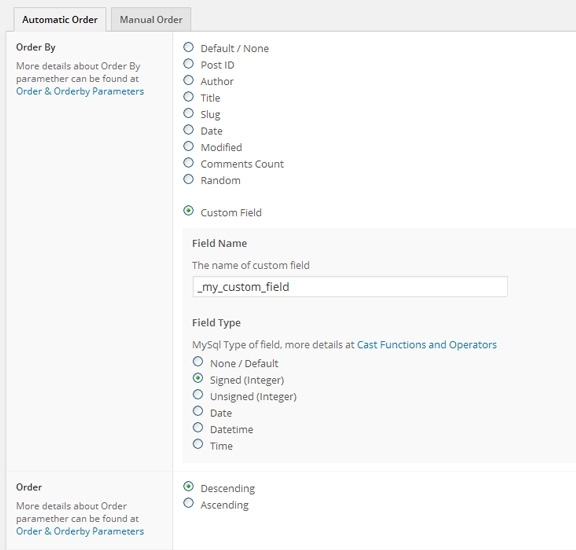 Order the WordPress custom post types by a Custom Field value has never been easier since the latest version of Advanced Post Types Order plugin. Forget about long codes, template files, error messages and lots of tries, just use a simple interface, chose the options and the plugin does the work for you on the fly! Yes, that’s right you don’t need to know anything about programming to control that. Within the custom post type re-order interface chose the required Taxonomy, in our case Categories, then select a Term, in my example a category named Culture / Entertainment. Click Update and you are done.